Background Handling of unavailable prescriptions, i.e. prescriptions missing on the online server, is considered troublesome and time-consuming by community pharmacy staff and may result in both patient dissatisfaction and non-compliance. 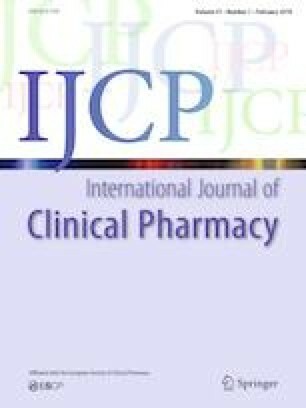 Objective To describe the occurrence and reasons for unavailable prescriptions at Danish community pharmacies as well as the types of drugs involved. Method An online 11-item questionnaire was developed and distributed to 24 community pharmacies across Denmark which each collected data on unavailable prescriptions handled within a 3-week period. Results Out of 194,358 prescriptions dispensed during the study period, a total of 2765 (1.4%) unavailable prescriptions were registered. Of these, 51.1% (n = 1412) occurred when a patient expected a new prescription after having consulted a physician, most often the patient’s general practitioner (75.6%; n = 1067). Of all unavailable prescriptions, 68.1% (n = 1882) concerned prescriptions on regular drugs for treatment of a chronic condition, with the patient not having any medication left in 27.9% (n = 526) of these cases. Unavailable prescriptions most frequently concerned cardiovascular drugs (15.8%; n = 437) followed by nervous system drugs (14.4%; n = 399). Conclusion Unavailable prescriptions occur in approximately 1% of all dispensing at Danish community pharmacies. Miscommunication between the patient and general practitioner seems to be the primary source of unavailable prescriptions. The online version of this article ( https://doi.org/10.1007/s11096-019-00831-5) contains supplementary material, which is available to authorized users. The authors would like to acknowledge pharmaconomists Majbritt Hvilsom and Susanne Nielsen for sharing their experiences of working with unavailable prescriptions. Further, Wade Thompson and Charlotte Rossing are acknowledged for valuable input to the manuscript. Finally, the authors would like to thank the following 24 community pharmacies for participating in the study: Aalborg Løve Pharmacy, Albertslund Pharmacy, Bolbro Pharmacy, Brøndby Strand Pharmacy, Copenhagen Sønderbro Pharmacy, Egtved Pharmacy, Frederikssund Pharmacy, Friheden Pharmacy, Grenaa Pharmacy, Hvidovre Station Pharmacy, Korup Pharmacy, Lindholm Pharmacy, Nørresundby Pharmacy, Odense Ørnen Pharmacy, Otterup Pharmacy, Pharmacy Friheden’s Butikscenter, Solsiden’s Pharmacy, Søndersø Pharmacy, Tarup Pharmacy, Vallensbæk Pharmacy, Vejen Pharmacy, Viborg Løve Pharmacy, Vodskov Pharmacy, and Vojens Pharmacy. Carina Lundby, Anne Vejrum Nielsen, Susanne Bendixen, Anna Birna Almarsdóttir and Anton Pottegård declare that they have no conflicts of interest. Pharmakon. [Network for Research and Development of Pharmacy Practice] (in Danish) [Internet]. [cited 2018 Sep 18]. Available from: https://www.pharmakon.dk/apotek-primaer-sundhedssektor/apoteksnetvaerk/.